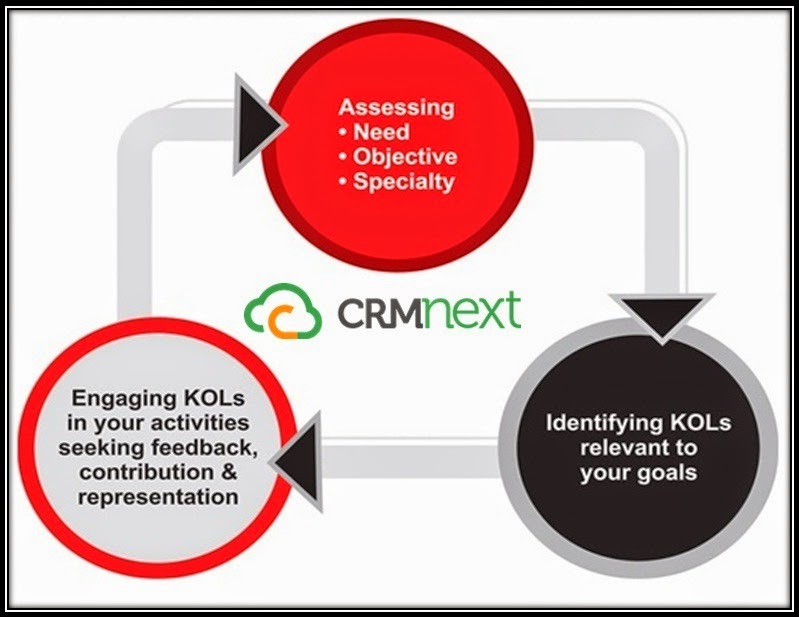 The Best CRM Blog: KOL Process Management Simplified! The pharmaceutical industry is a vital one as it involves the lives of millions of patients around the globe. It is one of the highly regularized and invested sectors. The typical turnaround time of pharmaceutical research runs into decades. Hence, all the stakeholders in medical industry are kept updated all the time. KOL or Key Opinion Leader Management is an important tool for marketers and medical representatives to keep their brands alive by inducing an ‘over-the-top’ mind recall. KOL management process helps pharma departments to allocate dedicated resources and avoid effort duplication. The one major challenge which many KOL platforms face is tracking and evaluation as it is often mistakenly assumed that efforts cannot be quantitatively analyzed. CRMnext’s pharma CRM software puts to rest such myths by offering unique physician/doctor/expert input, management, resource allocation, important timelines and performance evaluation on the effort spent. Why is KOL management the prime focus of every pharma company and how is it taken care of? Depending on the company strength and research focus, the management will identify key experts who are generally renowned in their area of expertise. For example, a cancer research company will contact well known oncologists who has various research papers to his credit. Once the physician agrees to be a part of the team, the company will regularly update him about the latest research developments. The oncologist will then mention it on his future medical papers, expert talks etc. This was on a grander scale. In smaller versions, medical representatives (MR) will approach doctors who are experts in cancer treatment, who in turn, will recommend and prescribe the company’s medications. What benefits does the above example entail for the pharmaceutical company? A pharma company can save on expensive advertising costs through KOL management. The specific meetings generate word of mouth awareness and greater penetration. If there is no synchronized data management, it will be difficult to prevent data mismanagement. Mismanagement can drain your valuable resources and waste precious time. Ultimately, business is all about money. With a good KOL management platform provided by a robust CRM system, a pharma company can save money by stopping revenue leakage through misguided marketing activities. With its automated sales force management, a CRM software can offer enhanced value addition with KOL management. Thus, KOL management simply means that important stakeholders like medical personnel, researchers etc. are actively involved in a company’s growth. Any pharmaceutical company worth its salt will ensure that its CRM vendor has a stable opinion management platform. Explore the pharma CRM Blog that businesses look forward to!